Bamboo Paper was updated on iTS. With a new logo (I think) and now this app by Wacom is fully compatible with Bamboo Spark. WILL and Wacom cloud are also here. Great new features that help you save, share and access your notes from everywhere, anytime. – Your ideas are important, keep them save. Sign up for Wacom Cloud and activate Inkspace in Bamboo Paper and all your notebooks will be automatically synced to the Wacom Cloud. – Have access to your ideas anytime, no matter where you are. You can view and share all your Bamboo Paper notebooks from anywhere through the Inkspace web portal. – Collaborate between multiple devices. Notebooks will automatically be synced across all Inkspace-enabled devices. – Join Wacom Cloud and start doing more with your ideas. Sign up for free and get up to 5 GB storage. – Import or export your notes, drawing and doodles using the WILL format for easy sharing and further editing. 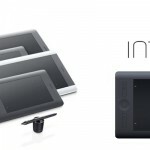 These 2 apps revealed some troubles after update (we see that in Facebook Wacom page). You can’t read books you create before updating. Wacom gave a little help : just export these books in WILL file and import it again in your app. If you can read it but the app crashes sometimes. Copy and past every page in a new book.